We are proud to announce that Higgins Lofts has selected Tinnelly Law Group as their association legal counsel. 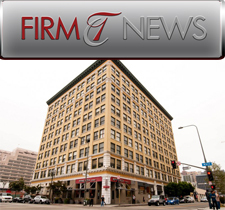 This beautiful 10-story building in downtown Los Angeles was conceived and designed in 1910. Upon entering the lobby, residents are greeted with classic detailing including mosaic title flooring, caged elevators, and meticulous iron work. The basement and former boiler room is home to the world class Edison Lounge. Residents of this 135 unit building are proud to be a part of living history, as Higgins Lofts is a wonderful example of the art, culture, and entertainment communities of downtown Los Angeles. Our HOA Lawyers and staff look forward to working with Higgins Lofts.